Lets make this clear – there is A LOT to see in Antalya, but it depends on your interests and your curiosity, what you want to see. Remember that you are in a big city with roughly 1.5 million people in high season, so I almost dare promise you, that there is something for every taste. But with this blog, I write about my experience with a family holiday with kids (but you can easily use my recommendations if you’re not travelling with kids). Our children are 9 and 11, and their needs change over time. But funny enough, we still enjoy many of the same things now as then. There are always a few things we need to achieve, even though we’ve been there several times before and have shredded the area over the last almost 20 years. Some of the things you get here, but also a few new things, that we want to experience this summer. The list is in random order, so don’t take it literal. 1: Take a trip to Kaleici – the Old Town. I believe that almost EVERY tourist coming to Antalya (and probably some from the surrounding “tourist” cities;) come here just once during their holiday. 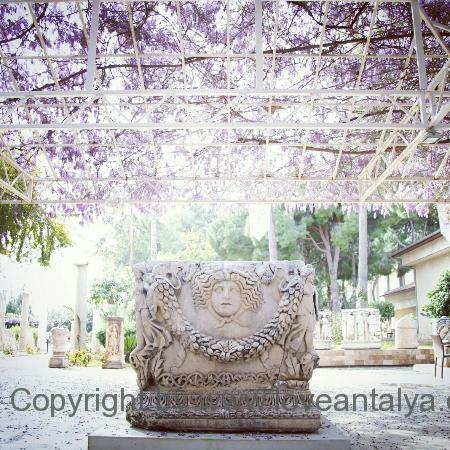 Kaleici is a must-see in Antalya. You will find few other places on the south coast, which is just as picturesque, cozy and authentic as the old town. And it is here-it-happens if you’re keen on souvenir shops, crazy stuff, good food, want to see a bit of the old days (and here it is not only 200 years, we’re talking about) and like to sit and chat on a delicious cafe with beautiful views of the harbor and the Gulf of Antalya. Need to know more, take a look at my previous post about Kaleici here. It should also be noted, that when you’re in Kaleici a visit to the port is mandatory. The harbor is central and easy to combine with several of the attractions, so maybe it should have been a separate post (but you can read more about it here). 2: While in Kaleici – take a look at Hadrians Gate. It is a city gate, that are several thousand years old. In Roman times it presented one of the entrances to the old town and was a suitable defense against unwelcome visitors such as thieves and pirates. Today it is completely restored and is really nice. Particular pay attention to the wheel tracks, that are worn down to the cobbles after several thousand years of driving. Today they are covered with a glass plate, so you find it easier to go through the gate, but it still has visibility to the fine track. Undisputed the best looking entrance to the old town. If necessary you can read more about it here and see old pictures. 3: Take a boat trip from the harbor – just one of those yalla boats (yes that is our nickname for them, because they have such an uncontrollable loud music, that you can here it everywhere) But yes, it is loud music and yes, you might be sitting close to other tourists and yes, you hear a lot of platitudes about the wonderful city. But from no other place, you get such a unique and spectacular impression of the city, than from the water. It is an enormous city, that is built on petrified bamboo and towering cliffs (or corals) several meters above sea level. Some would even argue, that the area around Dedeman have to be on the Unesco list of World Heritage because of the unique nature. Treat yourself with a trip (you can almost forget the music and everything else for just a few hours on the refreshing sea in the hot summer months). 4: Several years ago I was at the Archeological Museum with my husband. Granted, I enjoy being at the museum and learn about foreign areas and cultures, but I’m not exactly such a geek, who can list everything up. My husband was not happy to get there (he has been spending too many history lessons in school in this very place – hellooo how lucky is he? Learning in real life), but actually he ended up being quite so enthusiastic. And it is a pretty exciting place, and even one of Turkey’s largest museums with their 13 halls and about 30,000 objects. It’s super easy to get there, as it is situated on the outskirts of the city center and not far from the Konyaalti beach. On TripAdvisor the museum is listed as no. 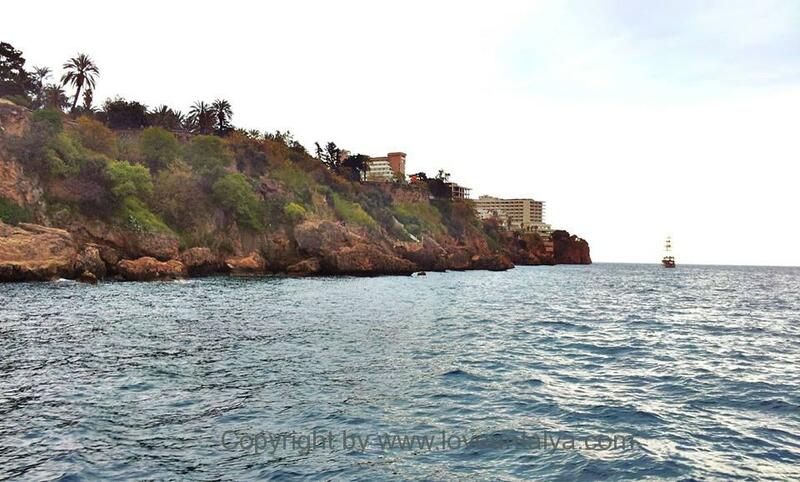 1 activity in Antalya, based on many visitors’ assessments. And surely it is recommendation enough ?? 5: Phaselis is one of our absolute favorite places – a fantastic area with amphitheater, an entire Roman pedestrian and several incredibly delicious beaches, located at the bottom of a small lagoon and surrounded by lush nature and high mountains in the distance. You can read more about it here, but treat yourself with a trip here – I promise you, that you will love it. 6: If you want to see one of the finest amphi-theaters in the world, you need to take to Aspendos, which you can read more about here. You must drive a little – about 1 hour out of town, but it’s a pretty impressive building. 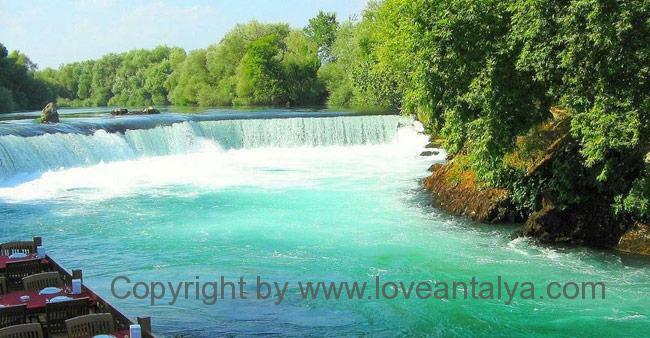 7: Manavgat is one of the finest and strangest waterfalls, I’ve ever seen. It is very wide and has the most surreal blue color, you can imagine (this is due to the more or less pure spring water from the mountains). It is a real touristy area with small (and expensive) cafes, souvenir vendors and photographers, who will take your picture for a small fortune. But the place is something special and very, very refreshing on a hot summer day. It is about halfway to Alanya, so aprox. 2-hour drive from Antalya center (we have often combined the trip with a trip to Aspendos aswell). 8: If you’re not tired of waterfalls (or just don’t want to drive as much), the Düden waterfalls is also a possibility. It is located on the outskirts of the city and spring out from the underground, and fall approximately 40 meters down from the rocks and into the Mediterranean sea. Around the upper waterfall is a really nice park, also with small shops and cafes and a really nice little walk (but not as touristy as in Manavgat). It is an extremely lush park, that is a magically and wonderful, cooling oasis in the big city. There is also something for the kids with ex. the big cave behind the waterfall. 9: The Clock Tower and Yivli Minaret is located right in the city center and can easily be combined with a tour of Kaleici, the “golden street” (a street where there are accumulated a lot of gold dealers), on “Kebab-street” (yes, guess what there is here), Hadrians Gate and down into the beautiful old, but newly restored marina. 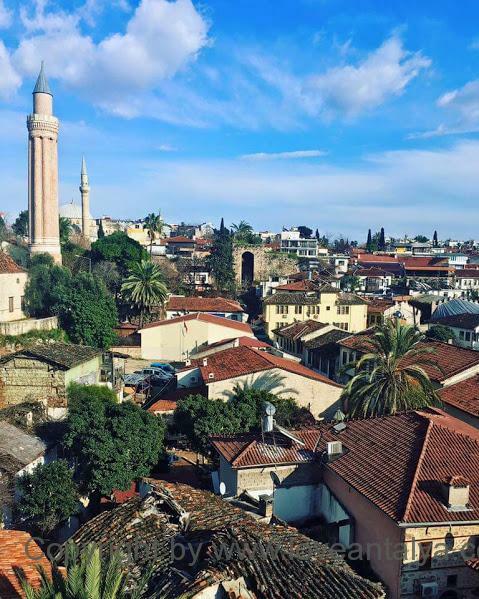 The tower end minaret are nothing special, but both belong to Antalya’s landmarks and therefore a must see. 10: My last suggestion is not an attraction as such. 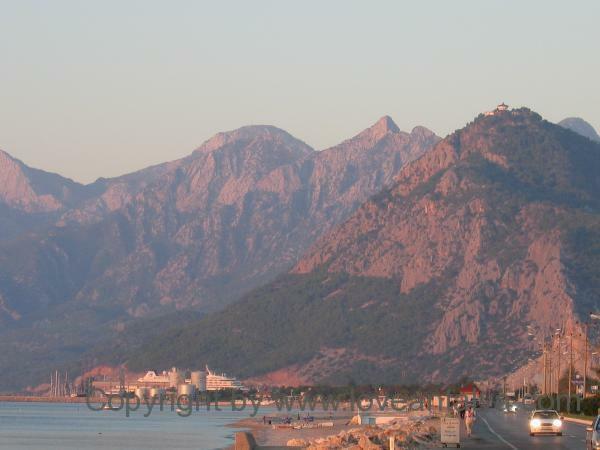 But try to go a bit up on one of the mountains, that surrounds Antalya – you have the most beautiful views of the vibrant city, as you possibly can imagine. It doesn’t really matter, which one of the mountains you choose – all are equal fine. But the mountain closest to the large industrial port is called bey-day and on top of that, there is a small cafe in a tower, that rotates. It is a difficult (and rather scary) road up there, but the view is absolutely stunning. It has been many years, since I was there last time, but it does still exist. I must write a detailed guide, when I – hopefully – have been there in the summer holidays. I’m excited to show it to the kids – I’m sure, they will think, that it is interesting. 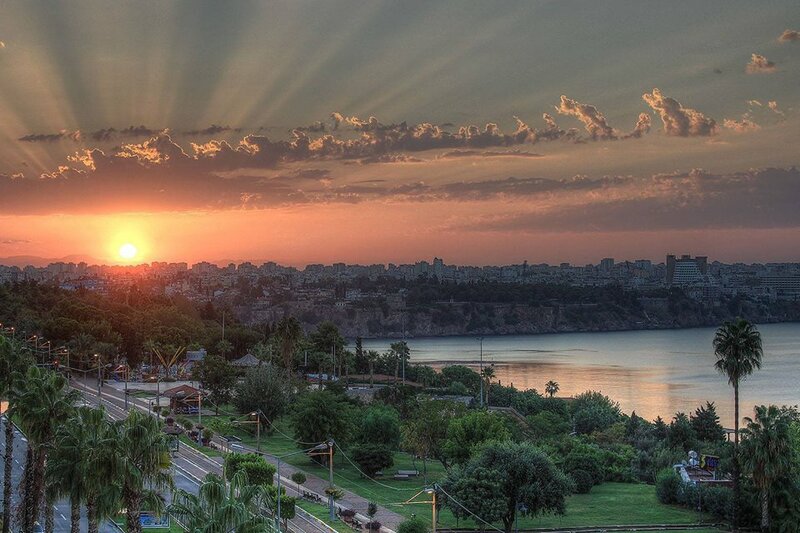 Now you may have read my top 10 things to see in Antalya and you might be thinking, that it sounds a bit dusty. And granted, there are many museums and old buildings (but perhaps water activities can flush some of the dust off ??). The whole thing must not concern about the old days, but these are the things, that actually gives you a really good image of the city and its history. And even if you have children with you – it can be fun. My children have been dragged around to all sorts of odd things and not always without protesting. So yours will survive aswell. I’ll come up with a list within the next few days, where I give you my bid for other more child-friendly suggestions, suggestions for activities in nature, shopping and so on. Do not hesitate to write, if there is anything, you want to know more about or have better suggestions than mine .